Passing by a house with good exterior painting always catches people’s attention. The attention of a person is strongly subconsciously focused on a certain house with a very pleasing touch of exterior paint, simply because of the welcoming aura the home, through its exterior painting. This is the depth of seriousness house presentations actually have towards people in the Canberra region. There are even instances when at one glance of the exterior presentation of a house in the Canberra region people are already able to have a good glimpse of the characteristics of its owner. In fact, in many cases, people often pass certain judgments on families just by looking at their house. This is quite disturbingly incorrect in the part of some people, but nevertheless, it happens. Nowadays, whether one likes it or not, Canberra exterior painting affects societal judgments. The appearance of the house, starting of course from its exterior design, creates the identity of the home. As widely accepted, the identity of the home indeed reflects the identity of the people in it. 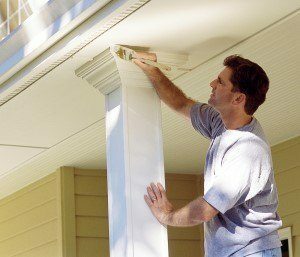 Improving the value of your home can be improved by exterior house painting. There are many factors that have to be considered before starting to improve the exterior painting of your Canberra house. Individuals should, before anything else, choose the colour and kind of paint one wants for the home from a wide array of choices. There are numerous varieties available so choosing one that suits your preferences shouldn’t be too difficult. Next, one needs to think about the kind of appearance to send out. Modern? Vintage? Something eccentric? For this reason, one must be aware of the impression others will get from simply looking at the exterior of the house. Why? Because for many, once the process of Canberra exterior painting has started, it is far too expensive to go back. Canberra house painting is not a simple task; it goes through so much planning and deliberation before total application. The number of coats to be applied, the quality of wall the paint is going to be placed, the kind of paint the owner chose, etc. should first be studied before starting the process. Otherwise, it will be painful for everyone involved; both financially and physically. So think twice before you change the exterior paint of your home. If you decide to invest in such a project, be sure to contact a local Canberra painter for the best results as well as advice for how to really improve the exterior presentation of your home.